Globally with increased access to potent antiretroviral therapy (ART), PLHIV live almost as long as the general population [1, 2, 3]. For the majority, HIV infection has transformed from a life-threatening illness to a chronic condition that requires long-term treatment and care [4, 5]. UNAIDS  estimated that there were 5.8 million PLHIV aged over 50 years in 2015, with 80% living in low and middle income countries. In 2000, only 8% of the global HIV population was over 50 years of age but in 2015 it has doubled to 16%, and is estimated to rise up to 22% by 2020. Smit et al. predicted that the proportion of elders (those over 50 years of age) amongst PLHIV would increase up to 73% in 2030 based on an HIV cohort in the Netherlands. In some countries such as the US and Brazil, the proportion of elders among PLHIV has already exceeded 50% . The increase in the proportion of elders amongst PLHIV is also driven by an upward trend in acquisition and diagnosis of HIV at an older age [8, 9, 10, 11, 12, 13]. As reported by the European Centre for Diseases Control and Prevention , HIV diagnoses have been increasing steadily among both males and females aged over 50 years of age between 2007 and 2016 across Europe. This also applies to African nations [15, 16]. Aging does not always mean happy and healthy aging for people with chronic HIV infection . However, this message needs to be explained with nuances to avoid further stigma in the HIV population at large. On the one hand, it is clear that potent ART has led to major health improvements in the health of the HIV population and has reduced the occurrence of the most severe form of HIV-associated neurocognitive impairment, namely HIV-associated dementia (HAD) to a rare diagnosis (2–4% of advanced chronic HIV-infected people, and less in early treated PLWH). On the other hand, it is important to recognize that a life-long treated chronic illness whether it is HIV or for example Type I diabetes  carries some added risk for dementia as people age. We should, therefore, advocate for an adapted HIV neurogeriatric response and obtain accurate estimates of dementia as people enter the at-risk dementia ages (60 +). This should not be construed as “fear mongering” but rather as appropriate preparedness. It is now widely recognized that there is a pattern of multi-comorbidities in aging PLHIV, some of which are well-established risk factors for dementia —as we will review. The comorbidities burden is probably the most relevant question in terms of HIV neurogeriatric care, while it is still important to understand the role of HIV even if suppressed. A modeling study has projected that by 2030, about 85% of elderly PLHIV will have at least one non-AIDS comorbidity , many of which are recognized factors for dementia. Over or underestimation of comorbidities burden amongst elderly PLHIV is possible. Survival bias  and limited availability of research findings from low and middle income countries where limited resources contribute to a higher ill health burden may lead to under estimation of the age-related disease burden in some older PLHIV. On the other hand, late ART initiation (a prominent risk factor for comorbidities) in the majority of current older HIV cohort  could contribute to an over estimation of age-related conditions when compared with people who will eventually age and were treated early. The aim of this review was to summarize the most robust evidence for all-type-of-dementia risk factors in the general population and then assess them with relevance to the global aging HIV population. We also consider HIV-specific factors that may further contribute to the added dementia burden in aging PLHIV. We also review the dementia prevention/reduction strategy literature and discuss the level of evidence and limitations with relevance to the aging HIV population. We conclude by proposing some directions in the translation of this research to aging PLHIV. Our understanding of the underlying causes of dementia in the general population has advanced greatly over the past 20 years. There is now robust evidence from various longitudinal observational studies supporting the involvement of several risk factors, some of which are non-modifiable (e.g., age, genetics) and others that are modifiable (e.g., lifestyle and medical factors including vascular and psychosocial factors) [21, 22]. Importantly, some estimates suggest that modifiable risk factors account for 30–50% of dementia prevalence . In this section, we provide a summary of the main risk factors of dementia from observational studies, and recent findings from intervention randomized clinical trials (RCTs). Advanced age is the strongest predictor for developing dementia. There is a clear and significant increase in the percentage of people living with dementia after 65 years of age, with a 2010 US population study reporting that the prevalence of Alzheimer’s disease (AD) increases from an estimated 3% of people between ages 65–74 to 17% for ages 75–84 and 32% for those aged 85 + . The same trajectory is seen when considering all-type dementia . Age as the number one risk factor for dementia should be specifically considered in the aging HIV population. Indeed, data are converging to show that there is evidence of premature systemic aging, but limited evidence of accelerated systemic aging [20, 26]. Similarly, the evidence for premature cognitive and brain aging is stronger than that for accelerated aging [27, 28]. However, this research is based on cohorts where most PLHIV are aged < 60 years old—well before the dementia age range. Furthermore, when looking at specific conditions (i.e., cerebrovascular diseases and stroke), the weight of evidence favors accelerated brain aging . Using the surrogate of biological aging rather than chronological aging probably represents a better marker for the aging process. For example, the prevalence of geriatric syndromes such as frailty [30, 31, 32], multimorbidity [12, 33], polypharmacy and disability  is higher amongst older PLHIV than the general population, and the syndromes are observed at a younger age than expected [26, 35, 36, 37, 38]. In addition, the decline rate in physical activity is faster among seniors with HIV than without HIV . Biological aging as measured by epigenetic aging shows evidence of both premature and accelerated aging in the HIV population  including in children [41, 42]. Overall, even if we only consider the premature age signal and greater age-prevalence of age-related conditions, this represents a major risk factor for dementia that is higher than in the general population. Its exact effect size determination demands large longitudinal studies with at least 50% age 60 + . First-degree relatives of people with AD are at a slightly higher risk of developing AD themselves  and the risk increases when more than one first-degree relative is diagnosed . The unique contribution of genes versus epigenetic and environmental factors is unclear. Over 20 genes have been identified that appear to influence a person’s risk of developing dementia . The most studied of these is apolipoprotein E (ApoE) which is particularly relevant for AD given its involvement in regulating β-amyloid metabolism, aggregation and deposition along with cerebrovascular functioning . People with the ε4 allele variant are at the highest risk. Having one ε4 allele is sufficient to confer around a 3-times increased risk of developing AD while the risk is around 15 times greater when two copies are present . However, being an ApoE ε4 carrier is not sufficient in and of itself to cause AD, indicating that it is a risk factor. Relevant to the comorbid burden of aging PLHIV, some observational studies have shown that ApoE ε4 carriers are reported to have an increased vulnerability to the harmful effects of smoking, excessive alcohol, physical inactivity and consumption of saturated fats, showing the interactive effects between genetic and lifestyle factors leading to increased dementia risk . Investigations of the link between APOE ε4 genotype and HAND have yielded mixed results  because the effect of APOE ε4 may not be apparent until a more advanced age has been reached and may be more prominent when present along with other risk factors for neuronal damage. NeuroHIV studies assessing APOE ε4 effect were composed of > 30% of subjects who were not virally suppressed and whose average age was in their mid-40 s. A single study has shown that PLWH who have individuals with a family history of dementia obtained lower neuropsychological performance . Further replication is needed particularly in older PLHIV. Women are at higher risk than men for AD possibly due to the reduced estrogen effect in older age . On the other hand, men are at higher risk of Vascular Dementia (VD) due to a generally higher risk of cardiovascular diseases (CVD) and stroke . In US studies, people of African descent have a higher rate of dementia compared to white people, and those have a higher rate of dementia compared to people of Asian descent . A complex interplay between modifiable factors, educational, social opportunity, in addition to early life trauma and life-span stressors is probably at play in such results . This interpretation is supported by a lower rate of dementia in African Americans who received better education/social opportunity than their older counterparts . Globally, studies comparing dementia prevalence in various countries suffer from major methodological limitations, as there is a lack of cross-culturally valid tools and methods’ harmonization . Importantly, efforts for uniform criteria to harmonized data greatly reduced the variation in Mild Cognitive Impairment (MCI) prevalence internationally . There is no definitive research that shows that women are more at risk of for HIV-associated neurocognitive disorders (HAND); however, based on the dementia research it is clear that specific research needs to be dedicated to aging Women Living with HIV infection (WLHIV) as they may be at increased risk of all-type dementia due to the interaction between menopausal changes and HIV, in addition to other risk factors for poorer cognitive and mental health that are common in WLHIV . There is also no evidence that some ethnicities are more at risk of HAND per se when using appropriate normative data . However, geographical and regional differences may remain apparent because of the complex interplay between some ethnicities and health disparities, and thus play a role in dementia prevalence across the diverse ethnic groups that composed the HIV population . The NeuroHIV field needs to continue developing cross-culturally valid tools and methods to correctly estimate dementia risk across the diverse HIV population . The mental health burden is high in the global HIV population for multiple reasons . For example, depression, which is often under recognized and treated, is highly prevalent among HIV-infected in general and even more so in elder PLHIV [36, 39, 88, 89]. In the aging PLHIV, the long-term chronic illness and stigmatization may exacerbate psychological symptoms [88, 90]. For many, depression is linked to social isolation  which in part is due to the loss of their loved ones to AIDS. Having multiple age-comorbidities and enduring the chronic illness may lead to poor quality of life (QOL) and reduced wellbeing amongst elderly PLHIV [38, 88]. A Dutch study reported that HIV status is independently associated with poor quality of life amongst PLHIV despite treatment and viral control . Although having a greater comorbidity burden was associated with worse physical QOL, it did not change the effect of HIV status on the quality of life, meaning that there can be residual effect of chronic HIV on the QOL even when comorbidities are prevented and treated. Mental health burden especially in its chronic form  and traumatic life events (e.g., childhood trauma) are increasingly recognized as major risk factors for dementia [93, 94]. Further adding to the mental health burden is the well-recognized high prevalence of recreational drug use in PLHIV compared to the general population , some of which are both cardiotoxic and neurotoxic (methamphetamine) . In other words, a substantial number of PLHIV—at the global level—are likely to be very vulnerable for dementia, in virtue of the high level of psychiatric burden that is often comorbid to the other risk factors we reviewed. A sometimes forgotten finding from the early cART NeuroHIV research is that any form of historical HIV brain involvement that has resolved on treatment remains a risk for cognitive deterioration . It should be noted that at the global population level HAD and CNS opportunistic infections still occur and with treatment access are more likely to survive . This finding confirms results in dementia research showing that previous brain trauma is a risk factor for dementia . The prevalence of HAND has been recently the focus of some debates [56, 105], but even when taking the most conservative estimates, it is undeniable that a non-negligible part of the first generation who are aging with HIV infection has a much higher brain vulnerability burden compared to the general population entering the dementia age range. Furthermore, age is a risk factor for HAND and HAD and it is estimated that once 50 + PLHIV are considered, HAND prevalence goes up by 10% . The mildest forms of HAND are the most common in the cART era. They seem to still have a relapsing/remitting profile, although with greater intervals between episodes, which translate into long-periods of stability . But when studies have long-term endpoints (> 10 years), or in those aged 60 + , progression is detected and even accelerated brain changes [108, 109, 110]. This is true to a greater extent in those with multiple comorbidities and unsurprising when referenced against what is established in the dementia literature (e.g., The Cardiovascular Risk Factors, Aging and Dementia (CAIDE) risk score, see  for an overview). Yet, it seems that even in some PLHIV with low comorbidities accelerated brain aging can be detected . More studies are needed, especially once PLHIV have reached 60 + because the finding of accelerated brain aging is not consistent —it is, however, consistent for premature brain aging . How HAND and the probable increasing contribution of vascular brain injury in aging PLHIV will play out deserve attention because these are yet again combined risk factors for all-types of dementia and well-established promoters of neurodegeneration. Specific research attention and funding need to be dedicated to the first generation of aging PLHIV now rather than later. At the global level, and even when accounting for the beneficial effect of ART, this generation shows cumulative comorbid risk for all-type dementia. When considered against the evidence in all-type dementia research, the added level of dementia risk in PLHIV is undeniable. Unfortunately, the interpretation of the research on all-type dementia risk reduction/prevention is not straightforward. It is important to recognize that the level of evidence may change in the future and, at the same time, that observational studies have yielded fair evidence for monitoring and treatment of modifiable factors as a dementia prevention strategy. Besides recognized methodological limitations pertaining to the complexity of risk factors’ impact in RCTs (reviewed in ), and caveats around the specifics of each intervention (reviewed in ), there are specific methodological issues in NeuroHIV research that need to be anticipated if such RCTs are to be optimally tested in aging PLHIV. First, how cognitive change is measured needs to be a central focus . PLHIV at risk of HAND or with HAND have a fluctuating cognitive profile. The suboptimal tools for measuring cognitive change that are widely used in dementia research (e.g., MMSE, ADAS-Cog, CDR) need to be avoided at all cost in NeuroHIV studies and trials . These tools were not developed to measure change, but to screen for dementia. They have wide measurement errors if not demographically corrected. Their test–retest reliability is inadequate principally due to their truncated range of values at the upper performance band. They are highly sensitive to practice effect, which in most instances is never accounted for properly [133, 134]. Equivalent tools to avoid in NeuroHIV would be for example the (I)HDS or the MOCA . Screening tools with better psychometric properties to identify cognitive change include screens that are based on a good number of tasks with infinite range of values (e.g., CogState , Neuroscreen , or selected combinations of standard neuropsychological tests ). Although practice effect and norms are still needed to optimally interpret these tools. The importance of measuring cognitive performance optimally is not a trivial issue as it is the primary outcomes of RCTs. It is also needed to capture normal and pathological aging trajectories  because not all people have equivalent resilience in the face of the same neurodegenerative burden. This demands a sophisticated approach to the measurement of cognitive change across decades of chronic HIV and the development of longitudinal normative data to truly extract the practice effect. The lack of practice correction and the mixing of people with completely different dementia trajectories may currently mask the potential benefit of some interventions in dementia research. Second, the dementia field increasingly recognizes that both pharmacological and non-pharmacological interventions should be tested from midlife onwards (i.e., preventative framework). Increasingly, in such longitudinal preventative context where there are obvious ethical limitations , some statisticians, clinicians and researchers are now proposing alternatives to RCT which the NeuroHIV community should be aware of  (e.g., use of normative longitudinal data and other forms of prior knowledge, adaptive randomization when possible). Third, the multifactorial aspect of dementia will be even greater in chronic, treated, aging PLHIV. Currently dementia research to tackle this question in interventional RCTs is focusing on multi-domain interventions that target several risk factors at the same time . 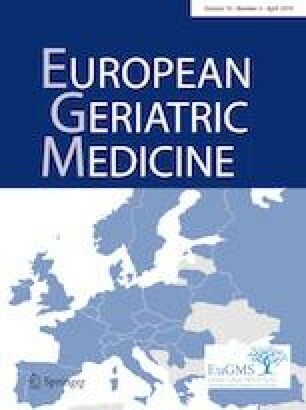 For example, the recent Finnish Geriatric Intervention study to Prevent Cognitive Impairment and Disability (FINGER trial) has demonstrated that multi-domain lifestyle interventions including diet, exercise, cognitive training and management of vascular risk factors have beneficial effects on cognition . In NeuroHIV it will be key to also include mental health, alcohol and substance use reduction when needed, HIV medicine, and last, but not least, delivery of interventions in safe and non-stigmatizing environments. Finally, HIV geriatricians [28, 71, 138] have advocated that planning for the care burden associated with both age plus HIV is needed to avoid sending PLHIV into mainstream dementia and geriatric care where they will likely experience stigma, and where both HIV and dementia care may be suboptimal. Provision of appropriate care is also important to avoid misdiagnosis, especially when neurological conditions and dementia are considered complex diagnoses, which demand expertise that is not always present at the global HIV population level. There is evidence that PLHIV can be further stigmatized and isolated as they get older —a tardive or poor HIV neurogeriatric response should avoid contributing to this. Lastly, education of the HIV community on Mild Cognitive Impairment (MCI) and dementia is also urgently needed as there is an increase concern among aging PLHIV that these conditions are highly stigmatized in the HIV community [140, 141, 142]. Education programs exist in the field of dementia led internationally by several Alzheimer’s patients’ associations. In this educational framework, the role and support of both formal and informal caregivers are central. Similar efforts should be targeted towards aging PLHIV potentially linking these associations with the HIV neurogeriatric researchers/clinicians and HIV community organizations. We thank our research participants for their invaluable contribution to our NeuroHIV research program. HLA reviewed research in HIV and aging and primarily contributed to this section and to the last version of the manuscript, SK contributed to the dementia risk factors and healthy aging recommendations’ sections, TMG drafted part of an early version of the manuscript, contributed to the dementia risk factors’ section and contributed to the last version of the manuscript, BJB reviewed and contributed to the last version of the manuscript, LAC determine the review structures and focus, and contributed to all manuscripts versions. NHMRC project grants (APP568746; CIA/PI Cysique, APP1105808 CIA/PI Brew) and NHMRC Career Development Fellowship (APP1045400; CIA/PI Cysique), Peter Duncan Neuroscience Research Unit at St. Vincent’s Centre for Applied Medical Research (St. Vincent’s Hospital, Sydney; Director: Prof. Brew).